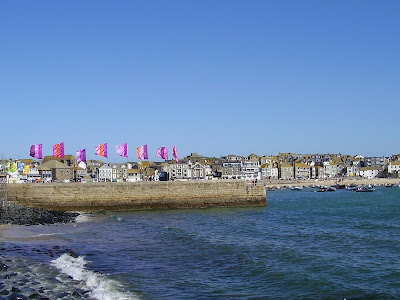 Today sees the start of St Ives September Festival. Its a beautiful warm sunny day and I've just returned from the harbour. I've just filmed an interview by Denis Nightingale for BBC Radio Cornwall - featuring Sarah Lincoln (Director) and Nicola Wilkes (Juliet) about Romeo and Juliet. I'll be posting that soon. I'm now off to Poetry In The Square then probably The Sloop. Hopefully I'll return more or less sober to post more later ! At last ..... the sunshine has returned to St Ives. Woke up to a beautiful sunny morning. Like many people here one of the things I enjoy is taking a bottle of wine down to the beach on a sunny evening and having a few glasses while enjoying the views. I had a surprising conversation with somebody this week - they told me that their friends had been doing the same, just a quiet drink on Porthmeor Beach, when they were apprehended by the local police. They were warned that they were breaking the law and that their bottle of wine must not be visible. These were people in their forties by the way, not underage chavs. St Ives has a street drinking ban in many areas. Not something I personally support, but I do believe it was designed to stop drunks causing a nuisance with their cans of Special Brew and Diamond White. Not to stop people enjoying a glass or two of wine on the beach. I also wasn't aware that the ban extended to the beaches anyway. 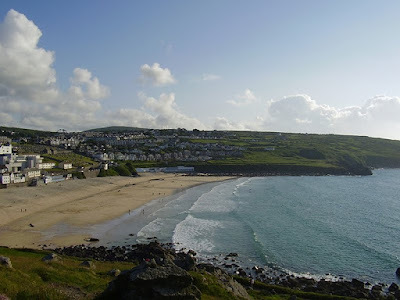 Its also interesting that St Ives Finest have time to patrol the beaches to hunt down errant wine drinkers, while on many nights High Street, Tregenna Place and Chapel Street descend into a drunken circus. See picture above. Finally - forgive me for getting a bit political - but its also symptomatic of the state we're in. Two simple words - "common sense" - have gone out of the window, to be replaced with targets, performance indicators and blind enforcement of the rules. But then it took them three days to even come round to check for evidence when our car was broken into. Remember - crime won't crack itself . 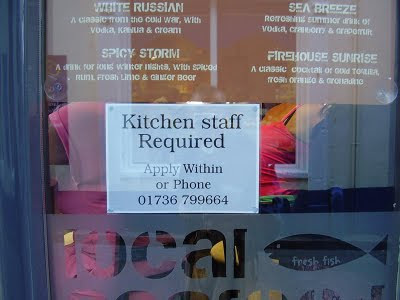 I haven't featured job vacancies before - but this is an unusual one. Must be able to lift heavy weights. Sounds interesting - might even apply myself ! I also wanted to feature a photo of the newly repainted building - looks great. Things have now quietened down a bit as the main Summer season has ended. Will soon be busy again though when the September Festival starts next week. Today (5th) sees the first (to be an annual event) Greenaway Pro Surfing Competition. 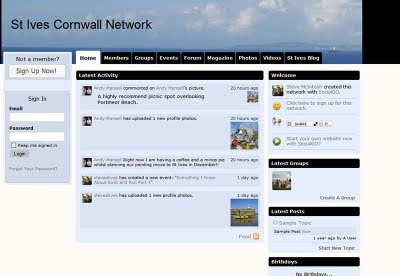 In memory of much missed Tom Greenway - who was a great friend to many in St Ives. All day on Porthmeor Beach. 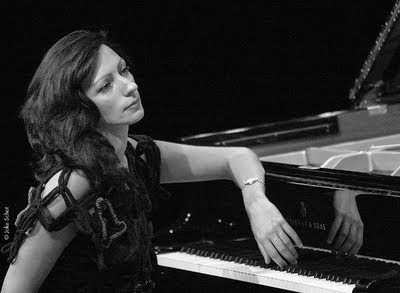 After Party - St Ives Guildhall 7.30pm. Tickets: £8.00. Profits to charity. 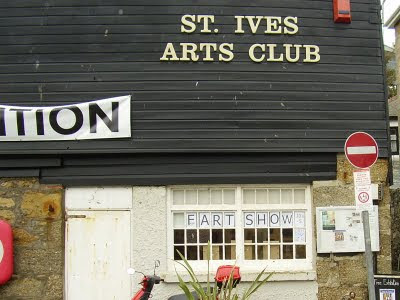 On Sunday (6th) you could check out the new exhibition at St Ives Arts Club. Joie de Vivre featuring the paintings of Archa Boase and the sculpture of Deryl Perucci. Open daily 10.00am - 5.00pm plus some evenings. On Monday (7th) night Freddy Zapp will be hosting the regular Karaoke night at The Sheaf of Wheat. Tickets: £9.00 / £6.00 (members) on the door. 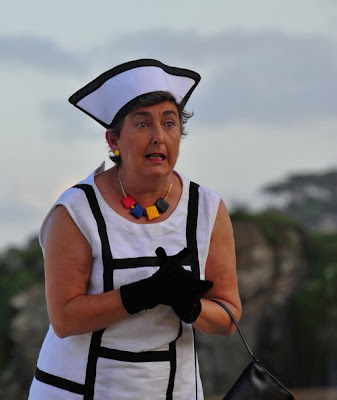 On Wednesday (9th) you could try the Ghost Walk. Take a guided walk to various spooky locations around St Ives, steeped in authentic and ghostly tales. Meet at 8.30pm at The Guildhall. Cost: £5.00 (adults), £3.00 (children under 14). Pay guide on arrival. On Thursday (10th) Phil Bowen will be at St Ives Library reading from his new collection of poetry - Nowhere's Far. 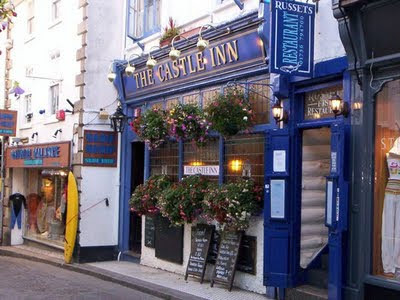 On Friday (11th) there is a Ceilidh band at The Castle Inn on Fore Street. Free entry and a great range of real ales. Have a great week and let me know of anything else that's going on. 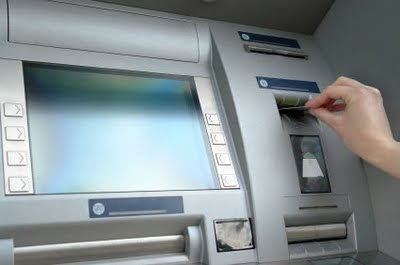 Two skimming devices have been found on ATM machines in St Ives and Penzance. Police in West Cornwall have issued a warning following the discovery of the devices - at a bank in St Ives and at Morrison’s petrol station in Long Rock. The story does not say which bank was affected - but presumably this has now been sorted. The Barclays machine has a CCTV camera so probably not that one unless the Pikeys persons involved are particularly stupid. 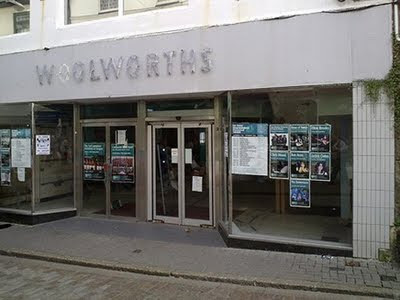 Presumably St Ives Finest are now scanning footage from the town's extensive spy camera network to identify the culprits. 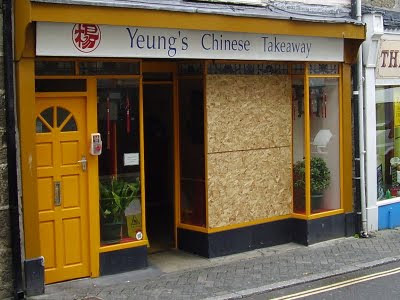 Not the first time this has happened in St Ives - so take care! 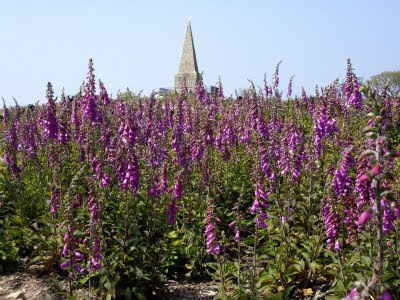 St Ives Trust Archive Study Centre is dedicated to preserving the history of St Ives. They hold information on every aspect of the town in newspaper articles, maps, legal documents, correspondence, catalogues and books. They also have an extensive collection of photographs which have been taken over the past 140 years. Copies of some of these are available for sale. A great resource for anybody researching St Ives or family history. 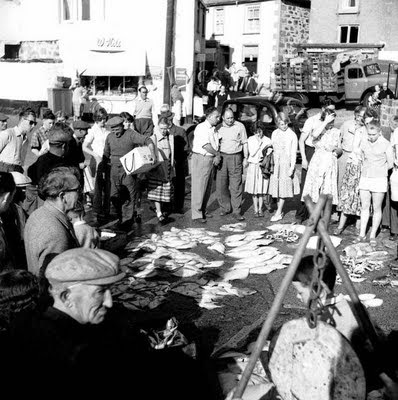 They are holding an Open Day focussing on St Ives in the 1940s and 1950s. Free admission and light refreshments. A quick update on webcams in St Ives - as I know these are very popular. 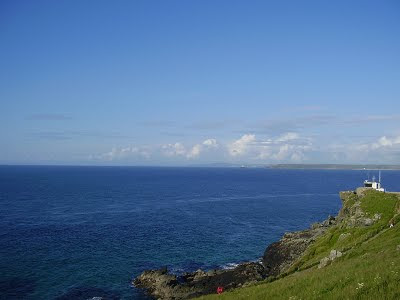 St Ives Coastwatch have three cameras located on The Island with great views over St Ives Bay. These are the best to view if you want to see what the weather is doing or just enjoy the views. 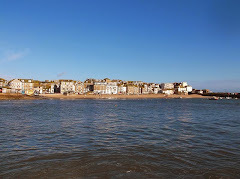 The Sloop Inn has good quality cameras overlooking St Ives Harbour and Porthmeor Beach. These seem to work well at night as well. The best to view if you want to see the state of the surf or what is going on around the harbour. Chy-an-Albany Hotel has a camera offering a good view of St Ives Harbour. The Regent Hotel also has a camera overlooking the harbour from slightly lower down. The St Eia Hotel has a cam with a view of Porthminster Beach. If you want to take a look at what's going on at Carbis Bay there is a camera overlooking the beach. 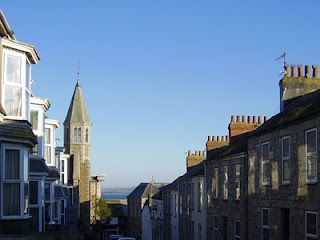 Headland House has a view of St Ives from Carbis Bay. The wonderful Steeple Woodland Nature Reserve has an Open Day this weekend. Sunday 6th September. 1.30pm onwards. Admission is free but donations would be appreciated. Live music with young musicians. There are also free refreshments including hot drinks, juice and cakes. You're asked not to take the car. Normally I'd disagree with such PC restrictions but in this case I agree completely - there really is very little space for parking up there. The walk up the hill is quite a nice one (if challenging !) and the walk down is a lot easier. You can get a bus from The Malakoff - number 17B leaves at 25 minutes past the hour - get off at The Cornish Arms and walk up Steeple Lane. 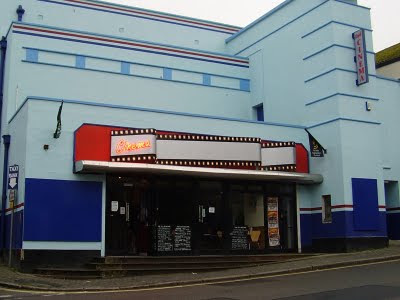 Or you could get a taxi from the rank next to the cinema or book one with DJ Cars. So you're invited to go along and learn more about the reserve and the wildlife. Also to have a great afternoon out.